3577 W. Gulf Drive. Photo courtesy of Zillow. We thought it would be fun to explore some of the most expensive homes in the area. We took a look around Sanibel Island to spark some dreams of luxury. These homes range in price from $3,495,000 to $7,595,000, as featured on Zillow. Search for these homes on zillow.com for more photos and a full list of features. 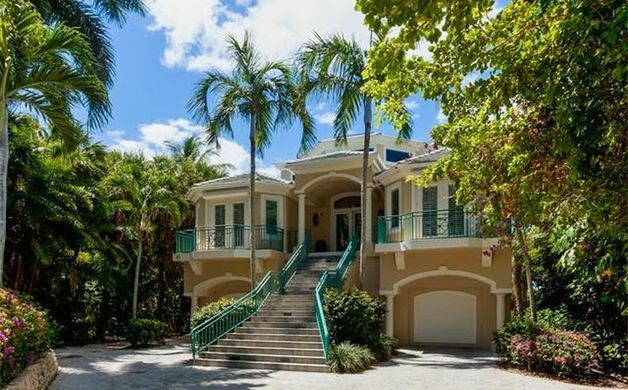 (Pictured above) - Masterfully constructed and set on the Gulf of Mexico, this exquisite home elicits all that is beachside living in the tropics. As you approach up the winding drive you are surrounded by expert equatorial plantings which guide you to the gated entry and this magnificent new residence. As you enter the home your eye is drawn through the great room over the invisible edge pool to the emerald waters of the gulf. This beautiful residence was designed for todays living with expansive beachside entertainment areas which flow beautifully from the great room with chefs kitchen and knock out first level master suite featuring Cortecchia stone in the bath and a fitness retreat beyond with steam shower . All guest suites are on the upper level and water views are enjoyed from every-room. Each room is appointed with a different exotic semiprecious stone from around the globe. 1304 Seaspray Lane. Photo courtesy of Zillow. Stunning views of the Gulf of Mexico from this upscale home in Seaspray on an estate sized property. Impressive & spacious 2 story foyer, 3 floor elevator, marble flooring, 2 gas fireplaces & gorgeous solid wooden paneled doors. Beautiful staircase or elevator to second floor private master suite with views of the Gulf from the bedroom, sitting area or the open deck. Spacious marble master bath with Gulf views from shower & huge walk-in closet. 2 guest bedrooms on first floor plus office with French doors & built-ins. Large open kitchen with granite and many new stainless appliances plus wine cooler. Bright laundry room with lots of cabinets for storage & new stainless washer & dryer. New high impact sliders & folding door plus new tile on decks. Soaring ceilings with skylights in living area, built-ins & home theatre system. Private open heated pool & spa amid beautifully manicured grounds. Roof top deck to enjoy the sunset & breeze! Seaspray has community pool & tennis. 1206 Bay Drive. Photo courtesy of Zillow. 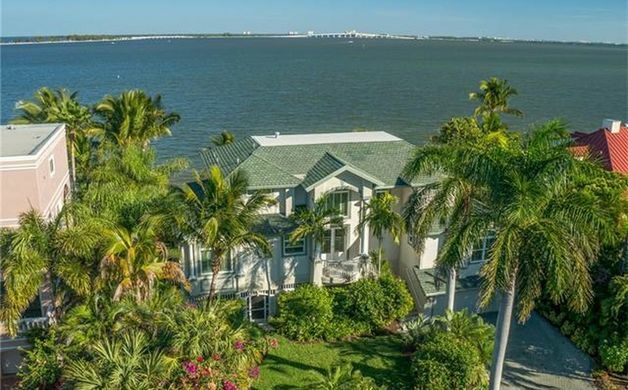 A true Masterpiece, this home is ideally located on the popular East End of Sanibel Island and offers breathtaking views of the Bay while set on a seawalled cove, perfect for sheltering the private boat dock and boat lift. Built with top of the line finishes for his own personal property, the previous owner was one of Sanibel's premiere builders. This nearly 5000 square foot home offers an elegant yet comfy and inviting atmosphere with tremendous views from nearly every room. The top floor consists of a large beautiful master suite with an open balcony to enjoy the breezes, along with a home office or 4th bedroom, all accessible by your private elevator. What a great home for entertaining. This 4 Bedroom, all en-suite, offers so many features and benefits too numerous to mention. 1320 Seaspray Lane. Photo courtesy of Zillow. 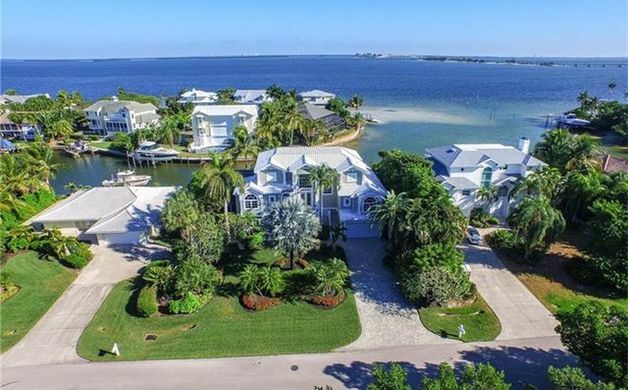 The perfect Sanibel beach house lifestyle offering spectacular southern & western sunset panoramic views over the Gulf of Mexico. Majestic setting within intimate Seaspray Subdivision. Brick Paver driveway entry surrounded by new landscaping, gorgeous beachside coastal custom designed pool & spa. Hardwood flooring, vaulted ceilings, beautiful interior wood work, all new exterior composite decking offering large entertaining areas. Sweeping views from master suite on second level with large walk-in closet. Library/loft area. Lots of sunsets awaits the new owner of this warm & inviting beach home. 535 Lighthouse Way. Photo courtesy of Zillow. Fantastic lifestyle, location and value for this direct water front estate residence. Awe inspiring bay views from this exquisitely crafted custom built home. Previously owned by one of the islands premier luxury home builders this casual yet sophisticated vacation retreat features a beautiful island decor, elevator, all new impact windows and doors, spacious suites for all to enjoy, split floor plan, high ceilings, fantastic deck space on all levels, beautiful lush landscaping, dramatic Grotto style screened pool with spa, oversized air conditioned garage and more. 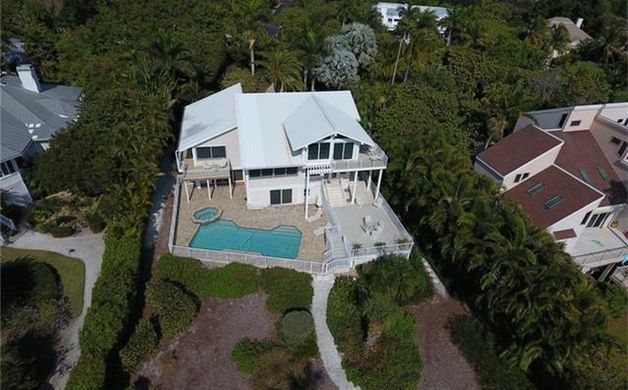 This home has been impeccably maintained and is located on Sanibel's highly desirable east end convenient to on and off island amenities. Own a pretty luxurious home of your own in the area? 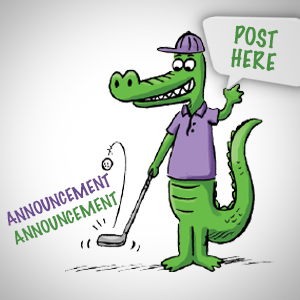 Send us some pictures, and we could feature yours in an upcoming gallery. 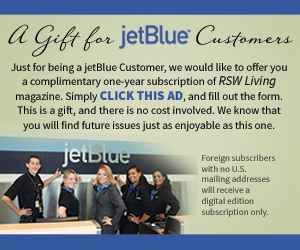 Send us some info by contacting us. Information and photos courtesy of Zillow.